There is a wide range of commercial safes available on the market today with different features, benefits and strong points. 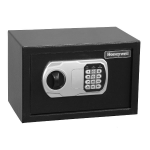 Additionally, each safe has its own purpose and typically either favors more security or durability. Below are some examples of the most common types of commercial safes that could work best for your company. A B-rated safe’s walls are less than 1/2″ thick, and its doors are less than 1 inch thick. A B-rated safe earns its rating with the presence of a locking device. Typically, lock work and re-locks are examined when choosing a B-rated safe. These safes are great, but do not protect the valuables inside from fire. Additionally, fire ratings are evaluated by testing to see if safes withstand varying furnace heat for specific amounts of time. For example, the UL Class 350 1-hour fire rating means that the internal temperature of the safe will not exceed 350°F for at least 1 hour when exposed to external temperatures over 1700°F. 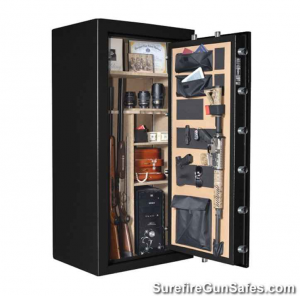 Gun safes usually have UL Residential Security Container Burglary Classification and come with a variety of shelving options, depending on the number of guns and other items meant to be stored in the safe. 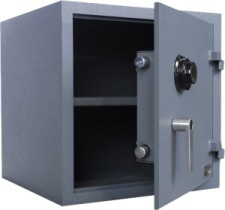 Depository safes come with a variety of burglary and fire ratings. 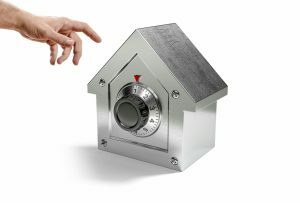 What makes depository safes unique is that they usually have a slot or door for deposits by individuals not authorized to open the safe. Additionally, these bad boys are generally regarded as “fish” resistant. To use them, pull out the drop drawer, and deposit the money or items directly into the standard locker. Fire ratings are evaluated by testing to see if safes withstand varying furnace heat for specific amounts of time. For example, the UL Class 350 1-hour fire rating means that the internal temperature of the safe will not exceed 350°F for at least 1 hour when exposed to external temperatures over 1700°F. TL rated safes are combination lock safes that offer protection against combinations of mechanical, electrical, and cutting tools. In addition, safes with a TL rating will resist abuse for a varying amount of time, depending on which classification tier they fall under. The tiers include picking tools to hand tools, mechanical or electrical tools, grinding points, carbide drills, pressure-applying devices, cutting wheels, power saws and impact tools. Some levels of TR-rated safes can also withstand welding and cutting torch abuse at certain levels. These safes usually aren’t rated by the standard companies. Additionally, they are small, have simple electronic locks and are great for small areas where large safes simply won’t fit. Dean Safe-Jewel Safes, Fire Safes, Gun Safes and Burglary Proof Personal Safes. Whether it’s at a restaurant or a retail establishment, when you run a business with high-cash volume, you need a way to protect your assets. The threats of burglary, robbery and internal theft are real— and if you don’t take action to prevent them, they are likely to happen to you. Therefore, we offer a wide range of commercial safes that can help you effectively secure and manage cash at your location. 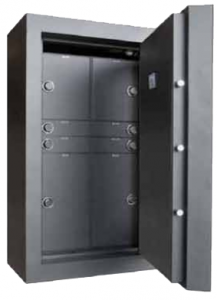 By keeping money in these high-protection safes, you create a deterrent to all kinds of security breaches and theft. What’s more, you do this in the most cost-effective, durable manner available. Therefore, give Key Man Service a call at (661) 210-1182 to have one of our specialized safe locksmith technicians in Santa Clarita assist you with your safe.